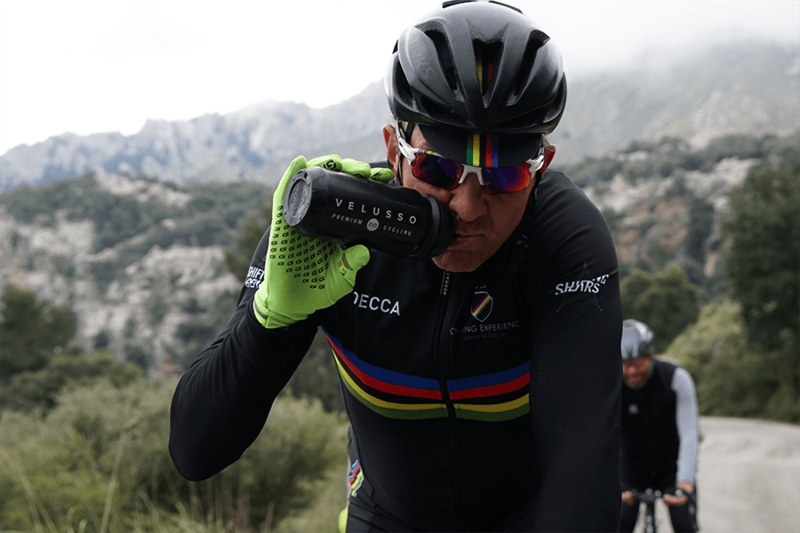 Fresh pastries and coffee stand on the villa table, and the sun begins to reveal itself from behind the Tramuntana Mountains; we are in Mallorca, on a special early season riding trip with Belgian cycling legend Johann Museeuw. Johan is a three time Paris Roubaix winner, three times Tour of Flanders winner, and the 1996 World Champion. This week, he is out Velusso Ride Leader – what better person to be spending time with, ahead of the start of the Spring Classics season. Coffee is poured, and the extravagant breakfast spread devoured. The real treat is out on the road though; a week of riding on this beautiful Balearic island. Our first ride is to the monastery high up on Mount Randa. We are rewarded at the top with coffee, cake, and panoramic views of the island. As with all Velusso trips, our ride formats and lengths on this early season trip are flexible: with the team choosing distances and difficulties depending on the guests’ requests. Today, our post-coffee route takes us up Lluc, and onwards to the peak of Puig Major, before descending down to the Villa in Pollença. Each day is different. Each morning we are treated to a hearty and healthy breakfast, before heading out to explore the monasteries, lighthouses, and mountains of Mallorca. 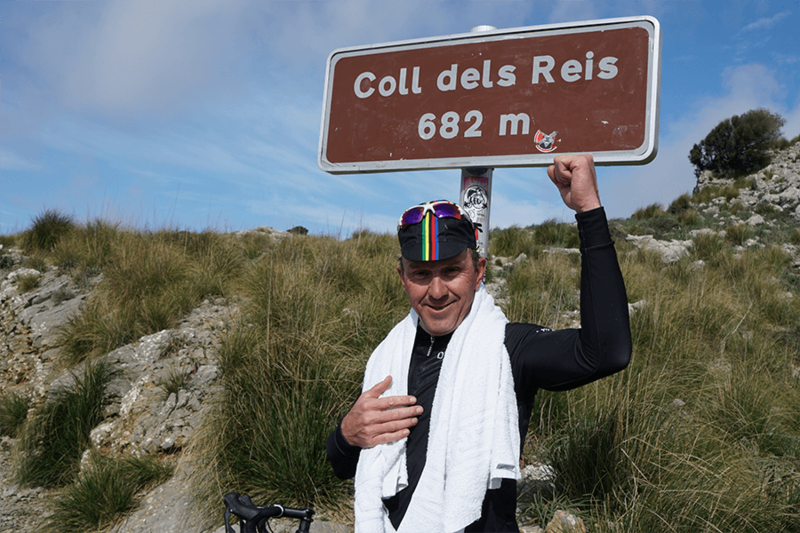 Johan Museeuw is a gracious ride leader; jocular, freely passing on helpful advice, whilst also appearing to genuinely enjoy the relaxed riding. Each evening there is a vibrant and fun atmosphere in the villa. Our Villa Host Jamie continues to impress with a fresh and delicious menu. Belgian beer helps to lubricate the conversations, which flick from cycling to politics, art and travel; with our small group of guests a diverse mix of economists, investment bankers, journalists, entrepreneurs, and of course all keen cycling enthusiasts. The early season weather is tough at times in the mountains, but the sense of reward is stronger for it. After one particularly tough ride, we have massages and a fantastic Italian meal in the old town of Pollença. For every great effort on the bike, there is an equal or greater relaxation post-ride. Superb company. Excellent food. Incredible riding. The experience on a Velusso trip takes you Above and Beyond.